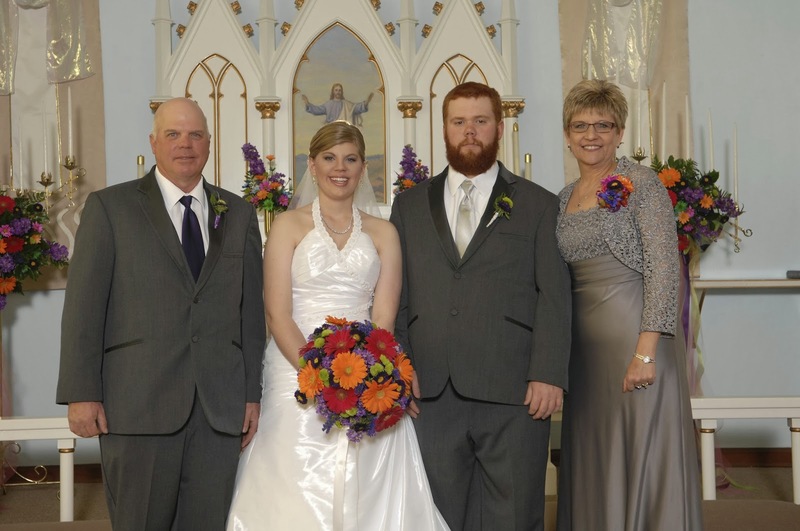 As I made the transition from farmer's daughter to farmer's wife, I realized how many lessons I had learned from my dad and Redbeard. It wasn't always easy being a farmer's daughter. I knew it wouldn't be easy, even with my experience, to add farmer's wife to my titles. Becoming a farmer's wife will change you. 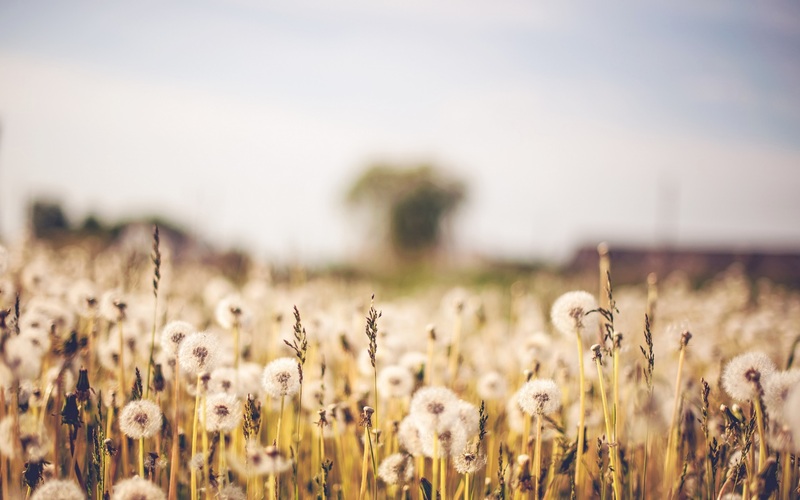 Jenny Dewey Rohrich wrote about the experience in one of her latest blogpost, 10 Ways Marrying a Farmer Will Change Your Life. If you haven't already seen her story, you should check it out! Here are the life lessons I have learned from the farmers around me. 1. Patience - As a child I was the opposite of patient. I have learned that patience is an important part of life and especially farming. The crops are never ready when you need them to be or they are ready too soon and everything else has to wait. Unless of course it rains or the combine breaks and the only part that can fix it is 500 miles away. The farmer is a very patient person. He/she has to wait to cut the best soybeans they have ever seen until they are dry enough. Or sometimes it goes the other way, the crop is so bad that they just want to get it over with. It does no good to give in to the excitement or disappointment, the farmer must prepare for the harvest whether it is one day or two weeks away. The farmer doesn't know when the crop will be ready. It all depends on the weather. 2. Be thankful for the weather - It doesn't matter what you have planned for the day, it seems like the weather ruins it. When I was in college, I hated when it would rain on my way to class. At the same time I would be rejoicing if it were raining in Alta Vista. It became so dry that I started to wish for rain, even when walking to class. Of course when it did start raining and it kept the farmers out of the field, we wanted it to be dry again. My dad tries not to complain about wet weather (no matter how much he wants to get back in the field) because as soon as it stops, rain will be back on our minds. 3. When someone is short with you, it doesn't necessarily mean they are upset, they are probably just busy - I have always been the sensitive kind of woman. The one you see on tv shows that cries at the drop of the hat. I am saying, EXTREMELY emotional. So when I would call my dad and he cut me off right away, I took it personally. I thought it was an attack on me. I didn't realize the actual reason until I started helping my dad on the farm. When someone would call me in the middle of something, I couldn't think straight enough to talk. I would cut them off and move on without thinking I had hurt someone's feelings. I reflected on those moments and it hit me. I am NOT the problem, it was just a bad time. Since then I have learned to have brief conversations with my dad and Redbeard. If they are busy, the conversation is short and they can call me back at another time when they are less busy. 4. Enjoy every second of life - Life is too short to worry about little things. (I am reminding myself of this every single day.) Farmers have something go wrong almost every day. Whether it is a broken part or an untimely rain, something goes wrong. But you don't see every farmer in America holding their head low. Why is that? They enjoy what they do and cherish every moment. Take this day for instance, the day I graduated from college. My parents were no doubt thinking, "how is our child this old" and "oh my, next thing in her life will be marriage." What I see, is my parents enjoying the day and thinking, "YES!!!! No more college tuition for us! Oh yeah, and good job graduating kid." They were enjoying every second, even if it was a little scary for them to see me grow up. And our wedding day when my parents were thinking, "we don't have to pay her insurance anymore!" 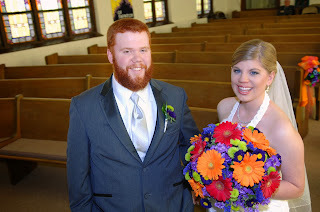 It was a wonderful day, but I know deep down they were in shock at how fast this day had come. They still enjoyed the day, even though it was scary. And Redbeard, who thought this was the last time he would have to smile for a picture. Boy do I have him fooled. :) He enjoyed every second, (even if he won't admit it) and the day was great! 5. Don't let plans get in the way of your life - The life of a farmer is crazy and the family doesn't escape from the busy schedule. I have always been a planner. I had all these plans for my life and somehow my life managed to be exactly how I didn't plan. When I was 14, I wanted to be an accountant and get away from the farm. In high school, I fell in love with agronomy and decided wheat breeding is what I wanted to do with my life. At the same time I fell in love with being the official swather operator. 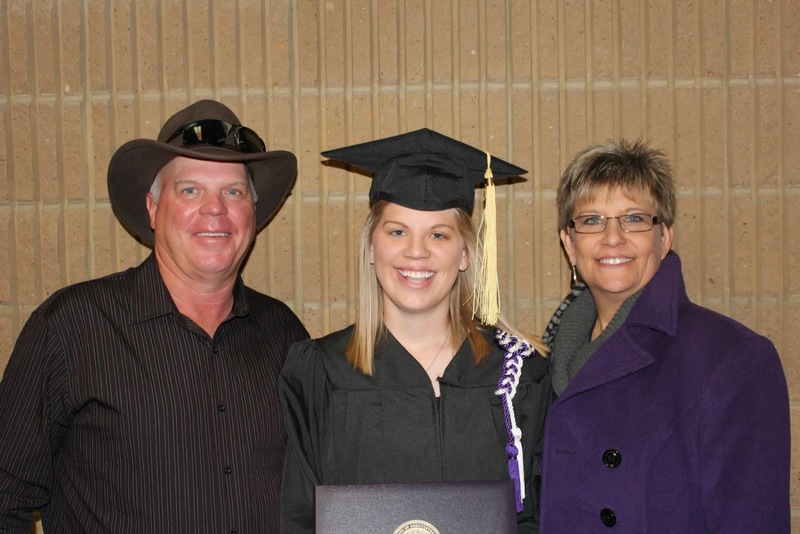 I was going to attend Kansas State University, major in agronomy, and go on to get my Master's and PhD. I had a wheat breeding internship and found out I was allergic to wheat. 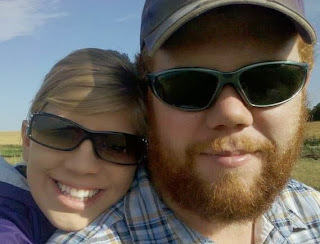 Instead of becoming a wheat breeder, I started dating a fellow agronomy student. He was everything I wished I could do with my life, but I didn't know it yet. It was never an option to go home and farm with my dad. The man I fell in love with asked me to be his very own housewife! I would get to cook and clean (okay, this wasn't the perk) and be involved on the farm! At that moment I finally let go of my obsession with planning and decided I should go with the flow. As a woman, I have plans for the day, week, and my life. As a farmer's wife and daughter, I realize that some of those plans will not work out the way I wanted. I might have to take that trip to town tomorrow instead, so that I can drive the men from field to field and save them time. I am okay with that...now. Without becoming the wife of a farmer, I wouldn't have learned that lesson. I have learned to let go of the control I had over my life and let God guide me where I am supposed to go. Or at least try to! It only took 22 years! 6. Hard work pays off, even if it doesn't seem like it - Farmers put their blood, sweat, and tears into what they do. It is more than a job, it is a lifelong choice. They work hard every day, from sunup to sundown, even when it seems like they aren't getting anything done. I don't know how many times I hear my farmers (dad and Redbeard), talk about what they tried to fix during the day and it still wasn't fixed. These days seem like a waste. When the breakdown is finally fixed and they are harvesting the crop, they realize it wasn't a waste of time. They are able to take a safe, reliable, and abundant food supply off the land and feed people. I believe that is what makes farming worth all the ups and downs. 7. Never be satisfied enough that you stop trying to improve - Farmers are innovative and look for a way to increase yields while decreasing the impact on the ground. They feel that there is always room for improvement. My parents pushed me to be the best that I could be. I believe that came from my dad's constant desire to improve his farming operation. Goals are important for a farm. In order to continue to improve, it is good to have an idea of what you want to accomplish. 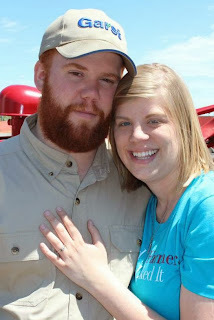 The day we got engaged. Ironically, I was wearing my "I kissed a farmer and I liked it" shirt for the first time! As you can see, I have learned many life lessons from the farmers in my life. 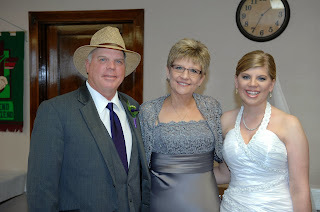 I can't imagine where I would be today without them in my life. My parents and husband have shaped me into the woman I am today. 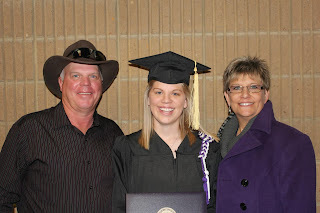 I am so thankful for their love and support, and especially those life lessons from a farmer. Wow, those are really great life lessons!! Farming instills many great qualities into young men and women. Thank you for your comment! :) Make sure to check out a blog I am now a contributor on, www.ruralhousewives.com!